Peter Cooke is an internationally recognized performing arts educationalist, administrator, researcher and practitioner. 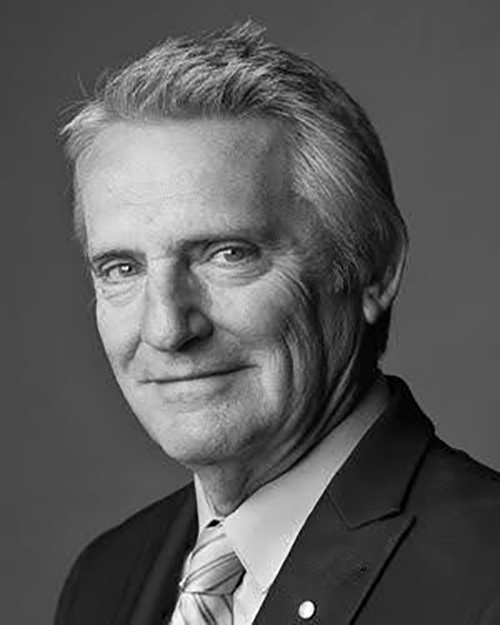 Born in Brisbane, Australia and educated in Kuala Lumpur, Canberra, Southport and Sydney, Peter was the first graduate of the Theatre Design Course at Australia’s premiere theatre school, the National Institute of Dramatic Art [NIDA] in Sydney, Australia. He earned his PhD at the University of New South Wales in Sydney, Australia. Peter was appointed Professor and Head of Carnegie Mellon University’s School of Drama in January 2009. Prior to his appointment he was Deputy Director and Head of Design at NIDA, a role he held for twenty-two years. Peter remains a Member of the governing NIDA Company. Over three decades he has designed some one hundred and fifty productions across the disciplines of drama, opera, dance, puppetry, music-theater, television, casinos and large-scale events. Peter’s Australian and American students have gone on to win numerous national and international accolades for their contributions to the arts, including, Helpmann and Green Room Awards [AU], and Tony Awards, Emmy Awards and Academy Awards [USA]. In 1990 Peter was awarded a Churchill Fellowship to audit theatre training pedagogy and practice in several leading drama schools across Europe and the USA. In 1996-97 he spent an academic year at the Yale School of Drama as a Special Research Fellow, auditing the Directing, Producing, Design and Playwriting Courses. He subsequently published a book about his time spent with Yale’s legendary design teacher, Professor Ming Cho Lee – ‘Yale School of Drama – Theatre Design Training’, Nairnpress 1999. In 1996 Peter led the design team responsible for the Handover Ceremony at the Closing Ceremony of the Atlanta Summer Olympic Games. His inclusion of Australian student designers in the Atlanta team led to many being commissioned to design the Opening and Closing Ceremonies for the Sydney Summer Olympic Games in 2000. Peter completed his PhD at the University of New South Wales in 2002 – researching the notion of ‘Australianness’ in the output of the London based and Tasmanian born theatre designer, Loudon Sainthill, 1919-1969. Peter has taught and lectured extensively throughout Southeast Asia – including leading design master classes and designing productions at the National School of Drama in New Delhi, India, where he has been a visiting professor for the past 15 years. Peter was recently a member of the external advisory boards that reviewed the theater programs at UC San Diego and Boston University. He co-presented the ‘Excellence in Theater Education Award at the 2015, 2016 and 2017 CBS Tony Awards ceremonies in New York City. He is a current member of the Programming Advisory Committee for the Pittsburgh Cultural Trust. Peter was made a Member of the Order of Australia, AM, in the Australia Day Honors in 2017 for ‘Substantial service to the performing arts as an administrator and academic, particularly to theatre and dance’. He was previously awarded the Medal of the Order of Australia, OAM, in the Queen’s Birthday Honors in 2008 for ‘Service to the performing arts through theatrical design education, research and administration’.